Wedding Ceremonies at Great Yarmouth Racecourse01493 842527work Wedding Ceremony VenueAt Great Yarmouth Racecourse we have a choice of two contemporary ceremony rooms with large windows overlooking a stunning view of the racecourse. 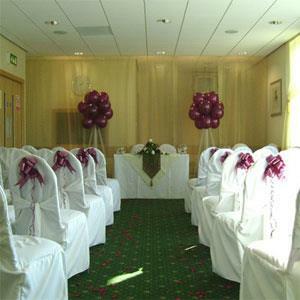 These rooms will be beautifully decorated with your choice of colours. At Great Yarmouth Racecourse we have a choice of two contemporary ceremony rooms with large windows overlooking a stunning view of the racecourse.